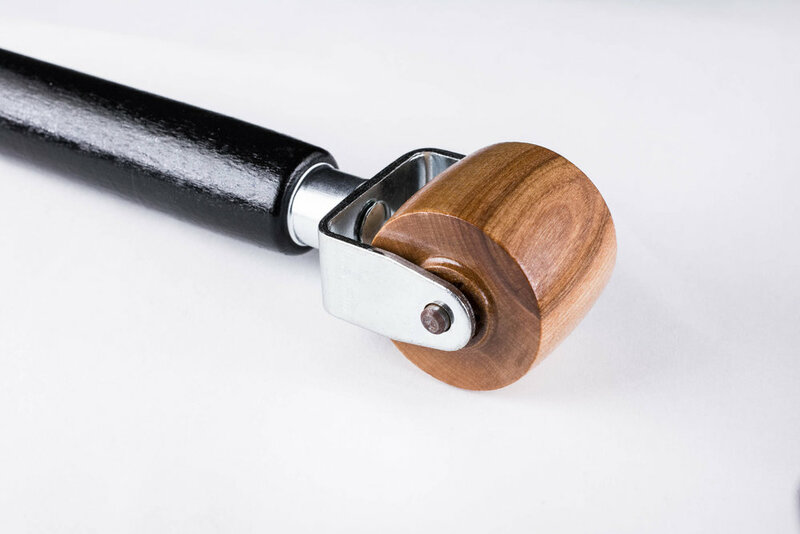 At Fall Quilt Market I introduced my wooden seam roller. If you're into paper piecing and haven't tried a seam roller, prepare for a life changing tool. Why roll your seams? Rollers allow you to flatten and create a wonderful sharp seam without distorting fabric or paper like traditional ironing can do. They're quick, portable, and convenient; especially when you're at a sew day or retreat, when irons and space are limited. Wallpaper has been used to cover surfaces since before the 1700's, modern developments allow us to peel and stick wallpaper quite easily. A seam roller was used to flatten the edges where the pieces of wall paper met, to create a seamless transition. Still used to this day, it has become one of those unusual non-notion notions we like to keep in our sewing rooms. My roller has a rounded barrel which puts the highest amount of pressure on your seam versus a traditional flat roller that will disperse the pressure over a larger surface area. 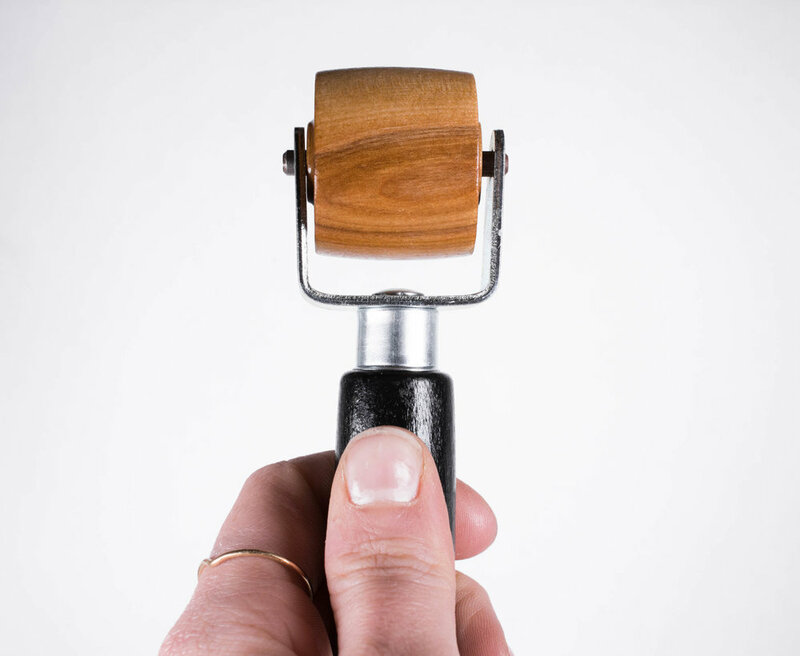 Made in the USA from durable spring steel and wood, it will surely be a welcome addition to any crafters arsenal! Violet Craft Seam Rollers can be found in local quilt shops and online quilt stores. Currently in stock at Fat Quarter Shop.